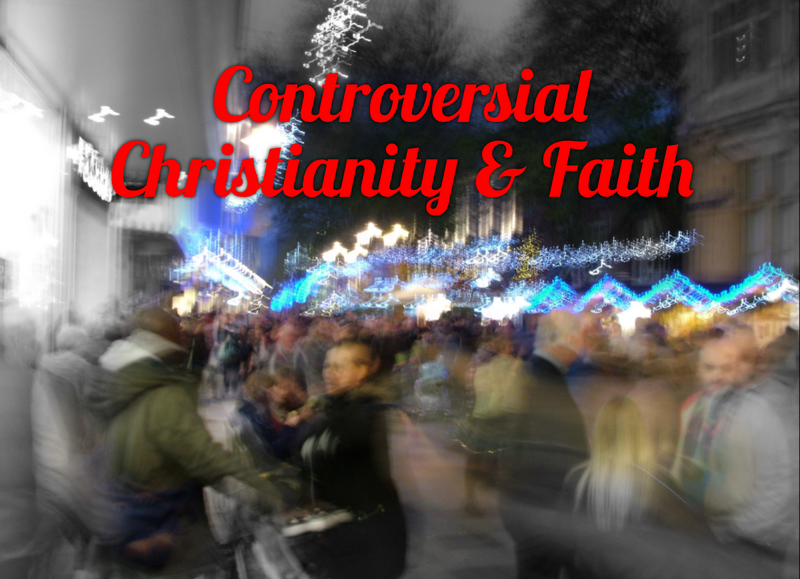 Controversial Christianity & Faith: What Has Right Wing Politics Got To Do With Christianity, Anyway? What Has Right Wing Politics Got To Do With Christianity, Anyway? In the US, people in general, and this is a generalisation, seem more ‘full on’ than people in the UK and Western Europe. At the same time, obviously, people in the UK in general, and this is a generalisation too, are more laid back. This goes for Christians, as well. American people seem to be on a quest, or some purpose, whereas I would suggest that British culture and people lack a real sense of purpose, and perhaps Christianity in the UK does, too. Americans always seem to be goal oriented, whereas we Brits tend to amble along hoping everything turns out right. We could definitely learn something from our American cousins, but perhaps they could learn something from us, too. Life is both a journey and a destination. We need a purpose in life, but we also need sometimes to take stock, be content with what we have and just be glad to be alive. I noticed that people who are too consumed by any purpose, particularly when that purpose is not from God, seem to miss the blessings both large and small that God scatters all around us, but I also noticed that when people don’t have any real purpose in life they can deteriorate, not every person, but some people can lose sight of what is important. We Christians need a purpose, but we also need to know that when we are seeking God’s kingdom and putting God’s values into effect in our daily lives, He has it all in hand. 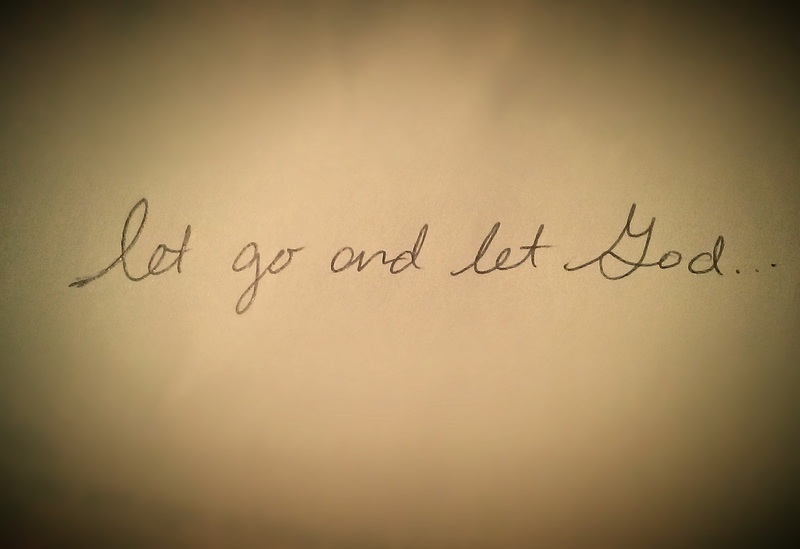 We can literally let go, and let God take over. Didn’t you know, it’s that simple?! Now, I’m no political theorist, but that sounds as darn near communism in its basic form as anything could be. Is the embracing of Christian faith by the right wing actually a pathological knee jerk attempt to distance what they see as Christian faith from that biblical description? Methinks the hard right wing doth protest too much. But by aligning themselves with Christianity, the hard, perhaps even ultra, right wing in America attempt to gain themselves a respectability they don’t really deserve, they legitimise their political stance as if endorsed by God Himself, and more worryingly refute the basic notion of Christianity, which is to love your neighbour. Let me also note, I am not saying Christianity is socialism either, because the left wing has deteriorated, too, but I do find it offensive to presume that if someone has left wing or even left of centre politics, it is rather bizarrely assumed to be at odds with a Christian faith. Not sure where that comes from. I am firstly a Christian, and then have left of centre political views. I can’t be bothered explaining why, but if someone wants to know why, I will happily explain why. But it has nothing to do with wanting to live in some socialist utopia. I believe they tried that back in Russia onetime... Nuff said. Ah, the ‘prosperity gospel’, that gospel that says capitalism and the worship of money is actually what Christianity is all about, which again rather strangely as in the case of American right wing politics, seems to coincide exactly with the views of wealthy and powerful Americans. God evidently likes wealthy and powerful authoritarian right wing Americans, and dislikes left of centre ... er, well basically anyone who doesn’t fit into the former category. Yeehaaaaa!!! It’s obvious, being serious, that Christianity is incorporated into something that is actually, more or less, the exact opposite of what lived Christian faith should be. Say it long enough, loud enough and with as much sincerity as you can muster, and add the magic ingredient ‘expedient convenient faith’, no doubt bought from Walmart, and you too can convince yourself and many others that the worship of money and materialism is sanctioned by God, especially if you are a right wing conservative American. I did notice, rather strangely, that the very wealthiest proponents of the prosperity gospel are against unions and workers rights and no doubt a fair wage for the people doing entry level jobs. Isn’t that strange, that prosperity is only for the very wealthiest, and not for ordinary people doing ordinary jobs? Say goodbye to the ‘prosperity gospel’, and hello to Jesus! Who Needs a Billion Dollars? As the rights of workers, unions and legislation on the side of employees has been seriously undermined in Britain, and the price of university education has been tripled, there is more and more the idea we should all move on and move up in life, just as any kind of pretence to equality and fair play is itself removed. So, as things are made harder for ordinary people to move on and move up, the propaganda machine has gone into overdrive. We must all be rich, or else we only have ourselves to blame for our poverty, not the rigged economic system we now live under. In America, it seems everyone wants to become a billionaire, so they can then tell everyone how much of a regular guy they are, and they still live in a rented house and drive a good second hand car, and still eat at the local diner! You can do all those things without owning a billion dollars. God does not command us to become super rich. It is the worst folly of the Western world that the pursuit of wealth makes people happy. It doesn’t. It makes everyone hard, callous, selfish and in the end, empty and miserable. Take a look, take a real good look at any number of billionaires and super wealthy people. Do you see what I mean? Nobody needs a billion dollars. A million dollars might be nice, but I suspect the majority of people reading this blog have got by most of their lives without owning anywhere near that amount either. Where I’m standing, If I had $1500 (about £1000) that I didn’t owe anybody and it was all mine, I’d feel pretty blessed with that at the moment. The world may tell you to be wealthy, the very core of your soul may tell you that the whole vindication of your life might be to be wealthy. But, what is God saying? Welcome back, and thank you so much for including my blogging page on your listing. As for your latest, I agree with you that the love of money is the root of all evil, and as many capitalist prosper,there are many who are not so lucky and are suffering. An excellent post. God bless. Thanks Frank. I have never read one of your posts and felt it anything less than brilliant. So compliments returned, in the spirit of love!!! I have to admit that I would by far prefer God's wisdom and knowledge to man's silver and gold. That word says that if we seek first the Kingdom of God and His righteousness (which can only be found in Jesus) then everything else will be added. 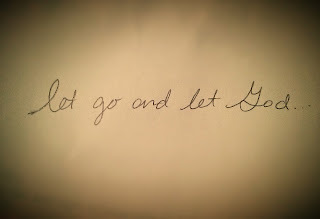 In my life this word has proven true. I think we have to be careful about putting people in 'block form', whether they be Christians or anything else. Each person is an individual, and it certainly does not mean a person is a Christian just because they go into a building called a church every Sunday. I always say that the Bible is a vocabulary, not a book, and just as that word can tell me to 'pray for those who despitefully use you.' one day, it can tell me to 'make no friends with an angry man.' another day. Only God knows what is truly inside a person at any given time, and He understands our weaknesses in the flesh. Nice to speak with you Tim, God bless. Always love your wisdom, Brenda. Cheers...!! Glad I stopped by and read this. It is quite thought-provoking! I was reading along happily until I stumbled upon the words communism and socialism and burst into flames. (I am American, yes, why do you ask?) haha... Ok, all kidding aside, something in your wording really caught my eye -- sounds like. Sounds like communism is not the same as communism. It's a trick. We saw faith persecuted nearly to death under communism in the old USSR. I've heard most of my life from academia (harf!) that communism made sense on paper. Ugh. Perhaps. But in real life, not so much. Of course, belief survived in Russia and look at it now. Faith is flourishing in a once dry land. But that word communism...I remember. Well, other people's memories. Vladimir Putin tells a story of how his mother snuck and had him baptized as a baby. That speaks volumes about the life of a believer there and then. I wonder if she ever thought things would happen the way they have in Russia. Hope my looong comment isn't too much. Prosperity. I like it, sure. It beats poverty and starvation. But maybe it's the same thing here-- sounds like. A billion dollars sounds like freedom, right? I mean, your time is your own, your private plane leaves when you say, you can buy surgery for beauty and nice clothes and as many avocado lobster salads as your liposuctioned belly can hold...maybe you could even finance the cure for Cancer and be a hero. Nice enough, but not enough. Not nearly enough. Sounds like...but money won't buy happiness. It only pays the light bill. So what is prosperity? I think there's probably a million ways to say it. But one I would say is trust in God. What a great, glorious peaceful life we can have when our trust is not in the the things of this world. They fall away anyway. I need to get an email sent to me each time someone publishes a comment, or I don't get to see them! I think social democracy, the freedom to do what you want combined with a safety net in case you get ill or become bankrupt is the best of worldly solutions. But I have the same view as you. Christianity is most certainly NOT Communism or any other ism, thank God!!! Human solutions are a dead end. No person, politics or ideology of any kind comes close to Jesus. 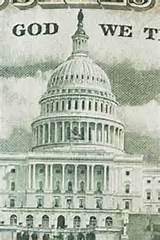 I believe we should be spectators of political systems and ideologies.